Picture of this bad underlay. It produces high Alkaline conditions and this locks up available nutrients so that they are not accessible to plants or turf. This in effect means your turf will not grow well. In fact it may not grow at all. To demonstrate these conditions, we pH tested the underlay. Here is an example. The before and after photos showing just 12weeks. This turf was laid on top of this bad underlay. 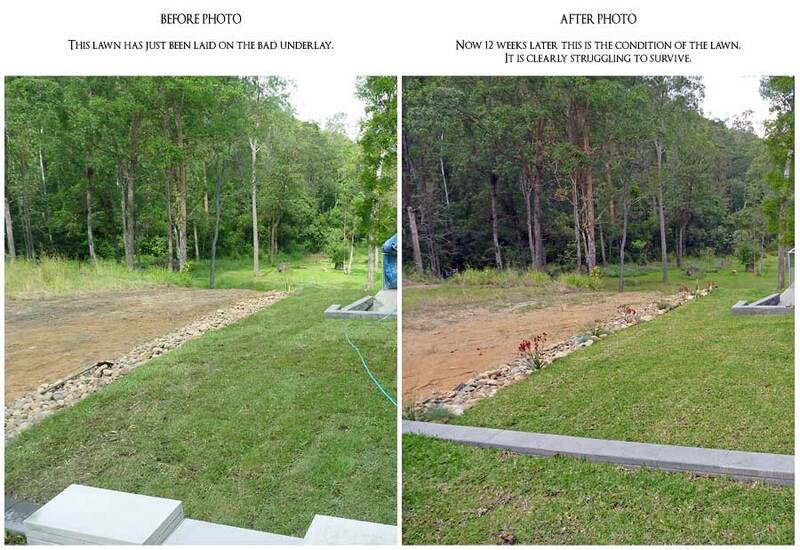 A comparison of when the turf was laid to 12 weeks later. The Turf is struggling to survive in these conditions. 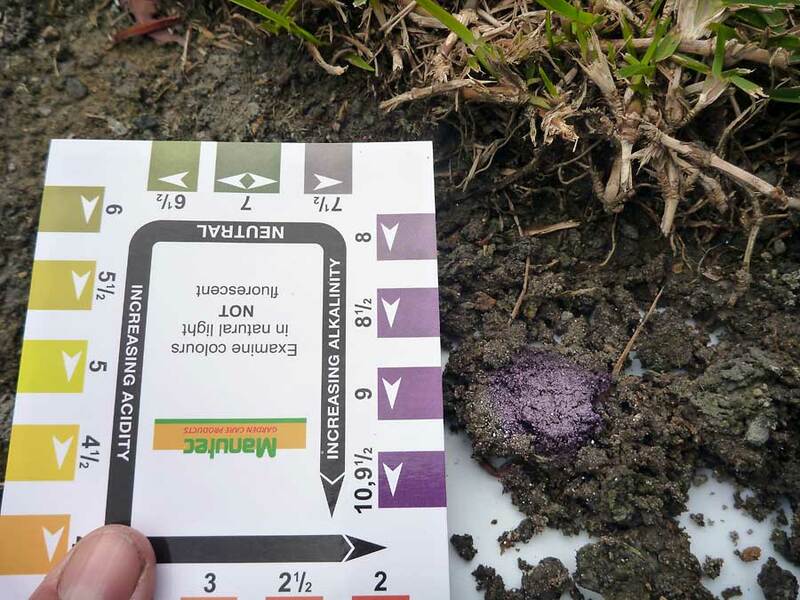 It is important to know the pH level of your soil to ensure what you want to grow will grow. 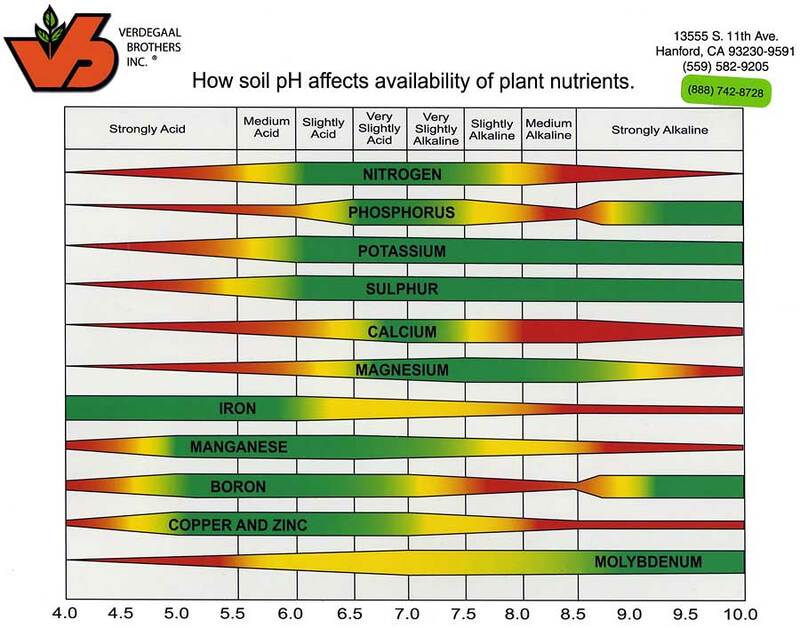 Here is a pH Plant Nutrient Scale that will give you an idea of what happens when, in the case of this bad underlay, the pH is too high. 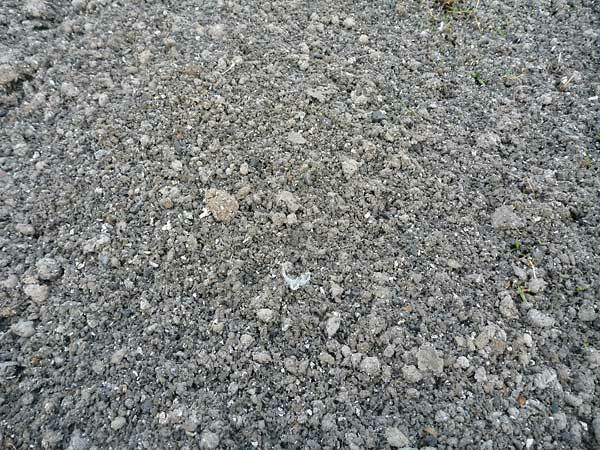 Nitrogen, Calcium and Iron are not as readily available. 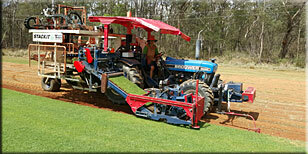 Please Remember Always use a good base and topsoil to prep the site before you lay your turf.